I’m on the last letter of the never-ending alphabet swap. 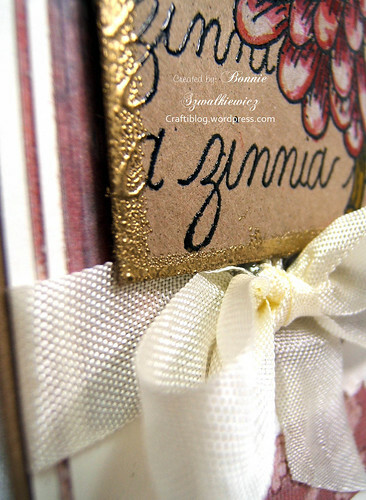 This month the letter is Z and is for Zinnia. 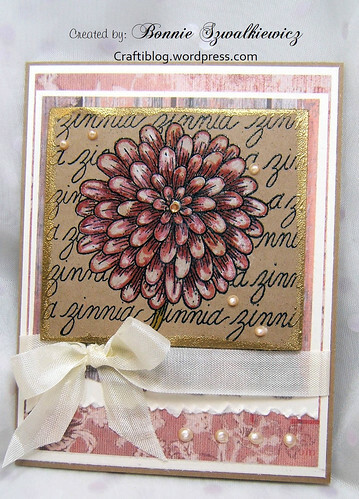 How fun that I actually have a rubber stamp that matches this swap exactly! This shot shows that I embossed the image in black and then embossed the edges again, in gold. I think it gives a much more finished look. I also popped the piece up using fun foam. That way when I mail it, it will not crush, bend or waffle. 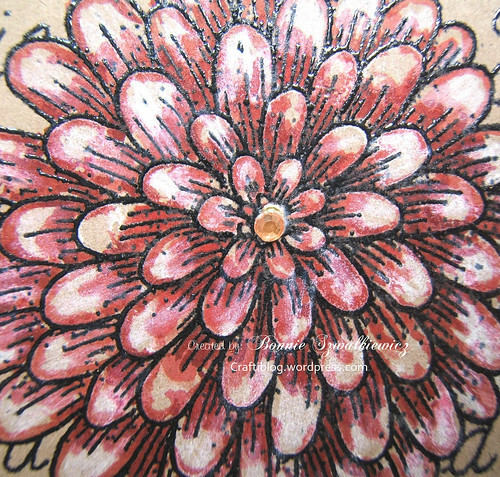 To get the flower to look like this (as I stamped it on craft card stock) I first colored the image with bleach and dried it. That left a white residue that I really liked. 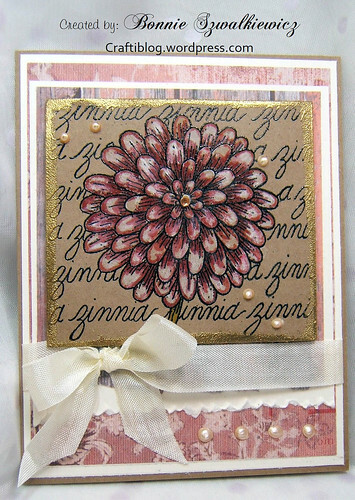 I added Color Burst concentrated pigment powder with a paint brush, dried and then adding more white highlights with a white pencil. The flower center is a yellow crystal gem. And one more look at the card before it heads for the mailbox this morning…. Nice painting Bonnie. I haven’t used the bleach idea in a while. I’ll have to try it again!